For the 9th edition of Winnow Chef’s Table we had the pleasure to interview a female chef for the very first time. 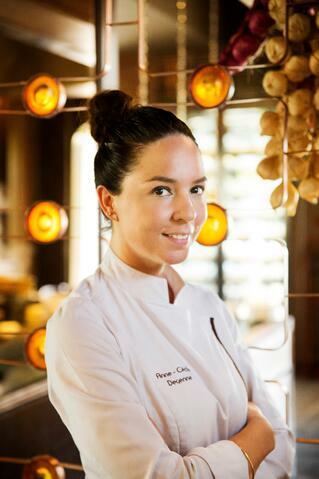 Anne-Cécile Degenne is passionate, talented, and one of the most prestigious chefs working in Vietnam and Southeast Asia at the moment. Originally from France, she has worked for culinary legends such as Jean-George Vongerichten, took part in Top Chef France Season 5, and opened several successful restaurants for Accor Hotels. Anne-Cecile is now heading the kitchen at Hotel des Arts Saigon Mgallery Collection. Her incredible work has already helped Hotel des Arts win the 2016 World Luxury Hotel Awards, in the Luxury Business Hotel for the Asian continent. How did you arrive at Hotel Des Arts and what were you doing before? I started working at the age of 18, in Bordeaux, France and in the Basque Country, Spain. After this experience, I moved to the Caribbean where I worked at the Eden Rock Resort in Saint Barths, for 10 years. In the middle of my time in the Caribbean, I took a break from the beach and spent 2 years living and working in New York to improve my English. I first moved to Asia in 2012 to join the kitchen team at the Sofitel Plaza Manila. I left one year later to open the restaurant at So Sofitel Singapore. In 2015, during my second year as an Executive Chef in Singapore, Accor Hotel offered me the opportunity to launch the bar and restaurant at Hotel des Arts Saigon, in Vietnem. I’ve decided to accept the offer because I saw it as a great career opportunity, and also, because I loved the idea of moving to another country but still remaining in Asia. I really enjoy living here. For as long as I remember I wanted to be a chef. From a very young age, I was already in the kitchen cooking with my mother and grandmother. For my family, it was obvious that I would become a chef one day. I went to hospitality school in Bordeaux where I am from. I joined the school when I was only 16 years old and completed my education within 5 years. After the first 3 years of general hospitality course, I spent 2 years focused on learning about culinary and cooking techniques. These courses were both practical and theoretical. I used to spend one week inside the classroom and 2 weeks in the kitchen. The biggest challenge was to get the collective buy in from all members of my team. In the beginning most of them didn't understand why I was wanting to reduce food waste. Some of my chefs even thought I was just trying to uncover their mistakes. A few times, I actually caught some of the chefs hiding their waste instead of recording it. They were too scared of being punished. It was a challenging process, but we managed to educate the entire team about food waste. They learned how food waste has a negative impact on the environment, and more importantly, they started realizing the value of it. Once they made the connection between wasted food and money loss, their attitude changed dramatically. Winnow has made us think more sustainably. For example, after Winnow we started thinking more carefully about displaying food in the main buffet. Vietnam is a warm country. Certain foods, such as meat and dairy, can go bad very quickly. Since we started using Winnow and learning about our food waste, we have avoided displaying food for too long in order to prevent waste. We now control our production volume very tightly. 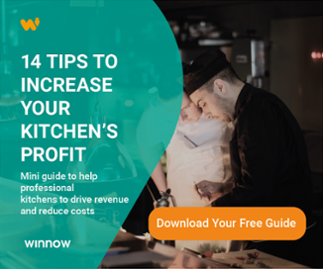 The information we get from the Winnow report has changed our behaviour in the kitchen. I can highlight the fact that we have learned about the importance of reusing cooked ingredients. If we have leftover bacon from the breakfast buffet, the chefs quickly think of ways to reuse it instead of throwing it away like they used to do. We often use cooked bacon in quiches or pies, and the result is delicious. Another change is in better predicting the expected number of guests. Before Winnow no one knew how many guests were staying in the hotel. Now, the kitchen team check the number of bookings on a daily basis to cook only the necessary amount of food. I believe Winnow has helped the chefs understand that our work space should be an extension of their home kitchen. If they normally reuse an expensive piece of meat at their homes, why would they throw it away here in the restaurant? It doesn’t make any sense. How do you think technology will have an impact on how customers engage with the stories of the food, the chef, and the restaurant?